When it comes to doing any kind of pressure canning, I am very serious about the process. 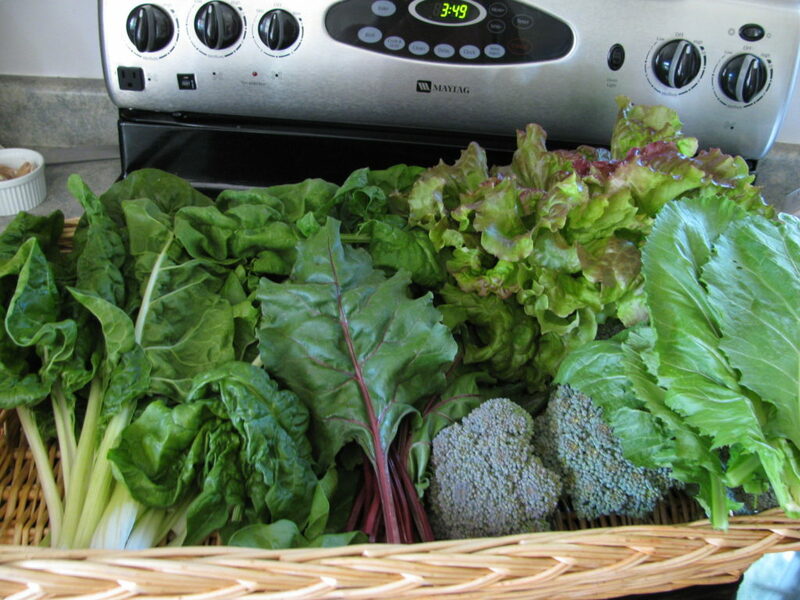 I don’t mean to scare you – I home can cases and cases of vegetables and we eat from our cold room all winter long. However, pressure canning is serious business. If it isn’t done properly, the food can spoil. You can make your family very sick by eating improperly canned food. 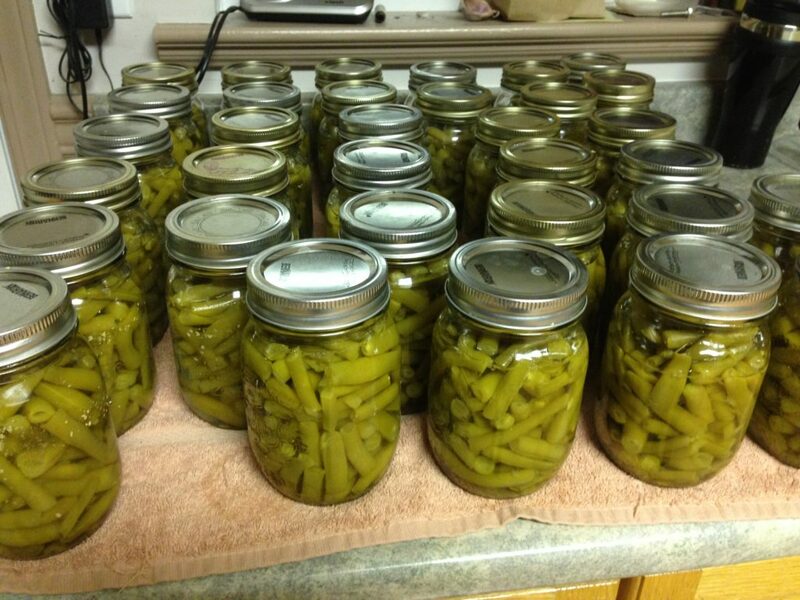 So learn the process and then treat it like a serious process – each and every time you do canning. 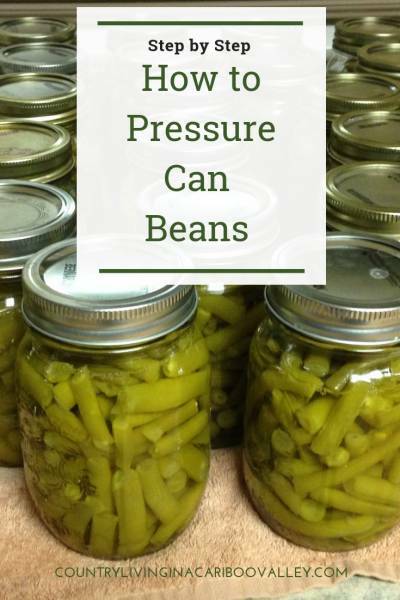 Here’s some more important information about how to use a pressure canner. I’ve had a Mirro pressure canner for more than 12 years now and just love it. 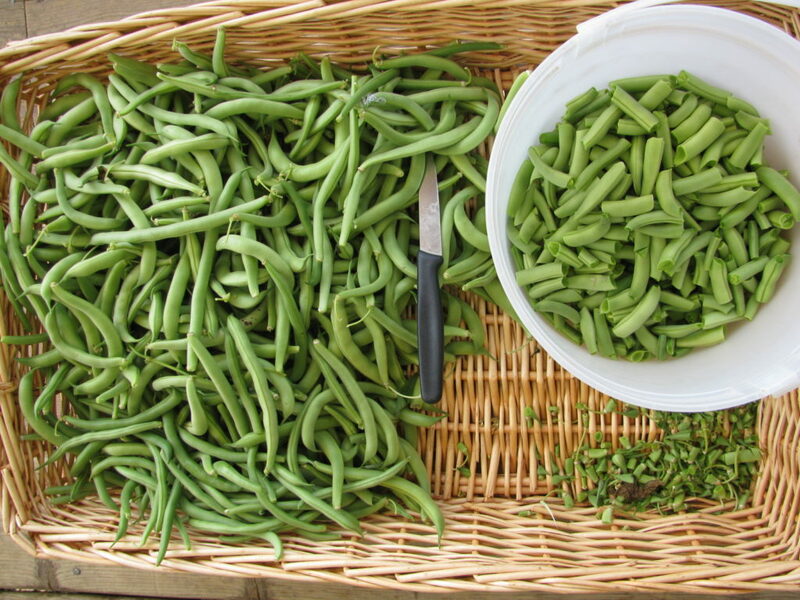 Here’s an awesome harvest of 18 pounds of green beans. I’d love to say they came from my garden, but they didn’t. I bought these from a gardening friend down the Valley. 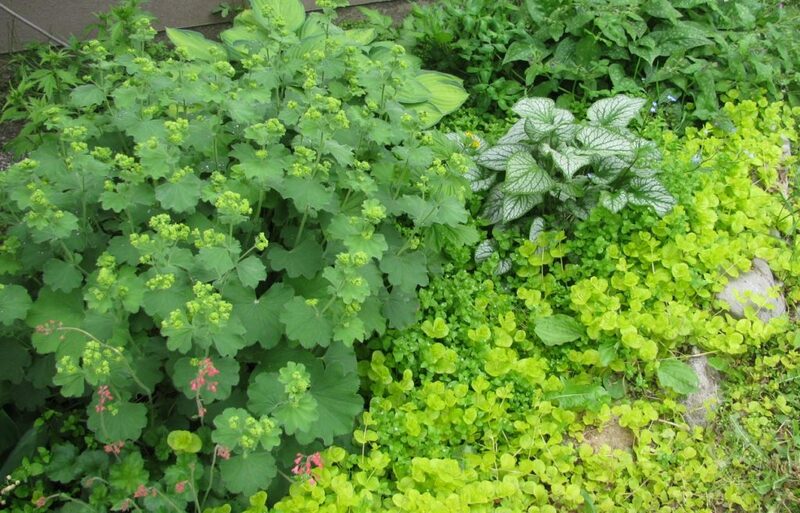 My garden is an overgrown mess of outsized beets, flowering broccoli and runaway bolting lettuces. That’s because this year, I kept my head down and focused on the garlic weeding and harvest. Next year, I’ll be smarter and not plant such a large garden. In the coming weeks, I’ll be harvesting and emptying the garden. There is a LOT of food that needs to be brought in. Potatoes, carrots and beets all need to be dug. Lettuce seed needs to be gathered so I can plant some next year. The other day, I gathered the beans and got started. Since we are running low on canned beans, I needed to make sure I put up another good supply. 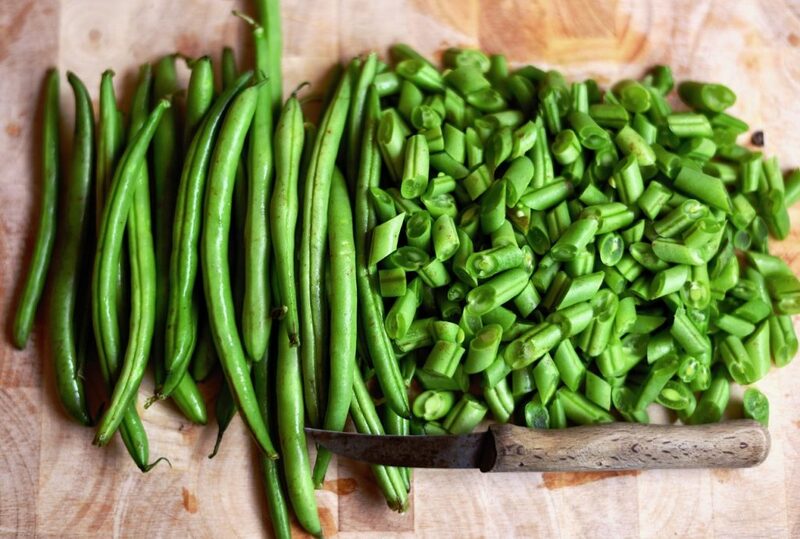 Cut the ends, snap the beans, wash them and then blanch them for a few minutes in a large pot with lots of water (you will need that water again when filling jars). Wash pint jars in hot soapy water and rinse them well. Then soak the canning seals in hot (not boiling) water for about 10 minutes to soften the rubber. Get the jar rings ready and your canning kit out. 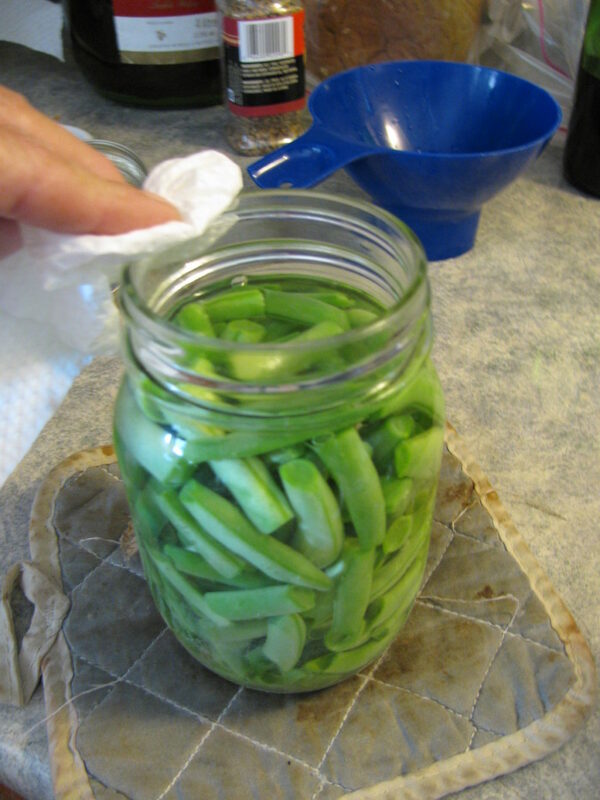 I put 3 1/2 quarts of water into the pressure canner and then begin to fill my pint jars with the hot beans. I add the liquid leaving a half inch of headroom in each jar. Wipe the rim of each jar to help ensure a good seal, put the seals on, twist the rings on tight and finally set each jar in the pressure canner. My canner holds 7 pints, but you can get taller ones so you can process 14 pints at a time. Just be sure to have a metal rack on top of the first layer of jars. You will want to keep the layers separated from each other. You don’t want the jars in contact with each other while processing, so keep this in mind when you place your jars into the canner. Put the lid on and then place the canner on the heat. Put it on high (make sure the weight is NOT on!) and once steam starts pouring out the top, let it go for 10 minutes. Just let the steam keep coming out of the vent. 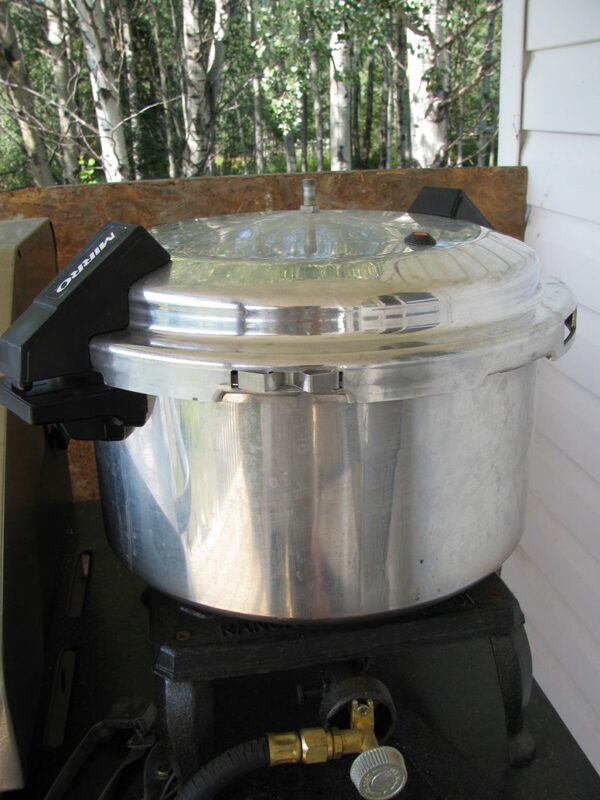 We do most of our canning outdoors on a propane heater, but you can also use your stovetop. After 10 minutes, add your weight (since we are at 2850 feet elevation, I can everything with 15 pounds weight). If you are below 1000 feet elevation, you will can with 10 pounds weight. Once the weight has been added, let the pressure canner go until the first release of steam. Once that happens, you should lower the heat under the canner, likely to between low and medium. Also set your timer for 20 minutes for pint jars (for beans). Check the time required for each type of vegetable or meat you want to can. Meat is usually 90 minutes but it is very important to check the recipe. 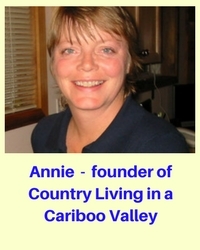 Every once in a while, the pressure canner will let off a big release of steam and pressure. This is normal. Although scary. Especially when you first start canning. Don’t freak out, all will be well! Once your timer goes off, turn off the heat under the canner. 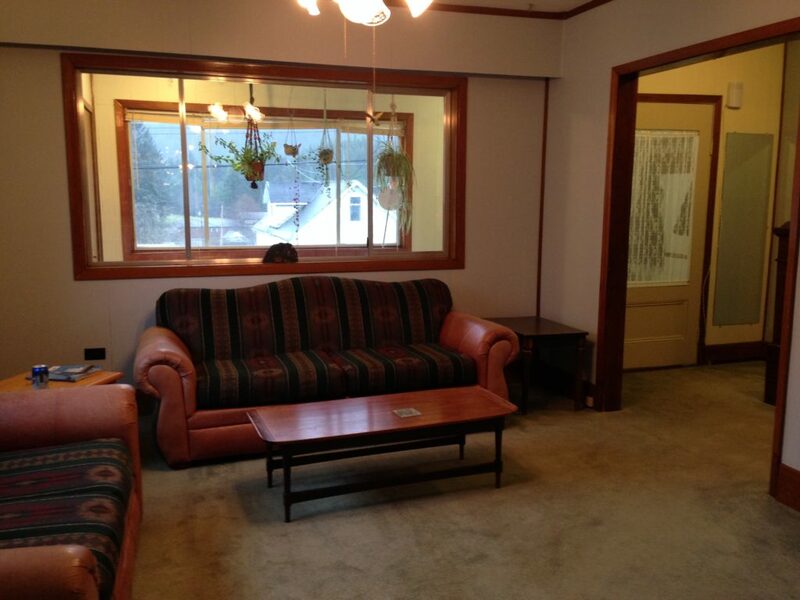 Then…wait. Do NOT open the canner right away or jiggle the weight to release the pressure. It’s important to let the canner cool down naturally. Only then, do you lift the lid. Lift the lid AWAY from you. There will still be some steam inside the canner and you don’t want to get hit in the face with it. Remove the jars right away using a jar lifter and set them on a towel or blanket on your counter or wherever they can sit for 24 hours without being disturbed. At all. Within a short time you will hear the jars pinging. This means they are sealing and that’s a good thing! Don’t move them or shake the jars – they must be left to settle and seal on their own. The next day, tap the lids of each jar. You will definitely hear the difference between a sealed jar and an unsealed one. If a jar hasn’t sealed, you can either pressure can it again or just put it in the fridge. Be sure to use it up within a few days. From the 18 pounds of fresh beans, I ended up with 33 pints of canned beans. Want to preserve peas? 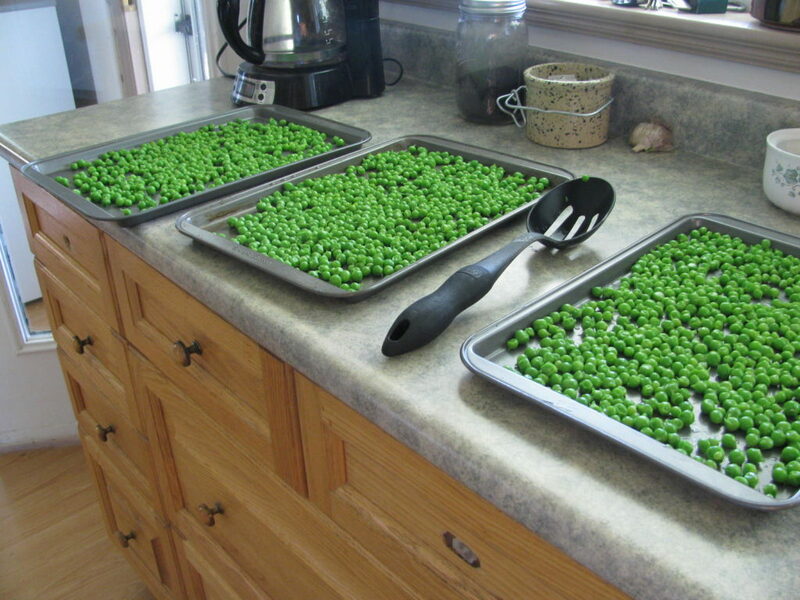 Read How to Blanch and Freeze Garden Peas for the super easy way to enjoy garden peas all winter.